Going to reuse an old photo because I forgot to take photos of the baked cookies this time! 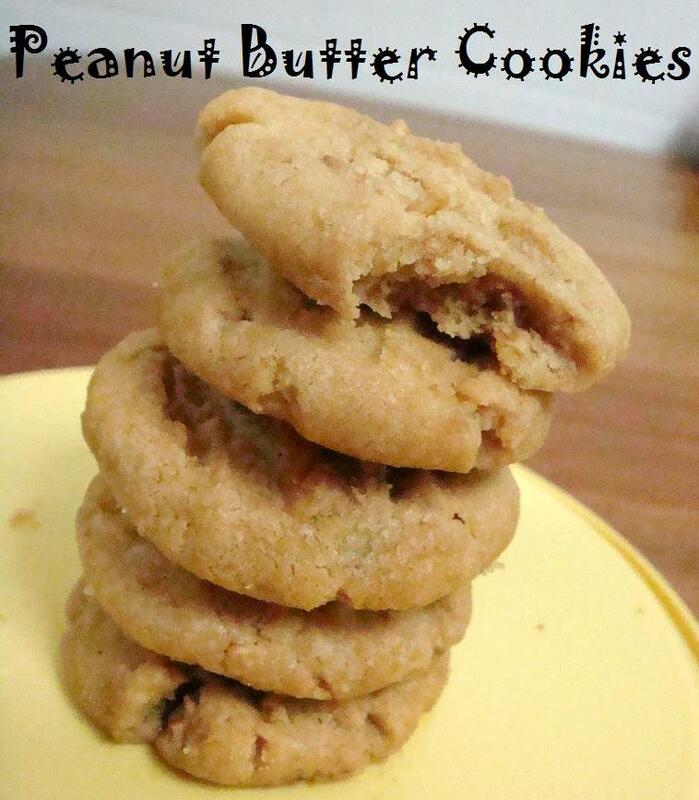 When I started my blog, these cookies are the first thing that I blogged about. And now, this blog is going to be 2 years old soon. I’ve baked these cookies for a few more times over the two years but then I realised that I’ve never shared the recipe. What a blunder that is! These cookies… how should I put it? They are small, cute, chewy and slightly soft, but deliciously crunchy with all the chopped peanuts. The peanut butter “oomph” is definitely there and once I start eating, I can’t stop. It is one of my top favourite recipes, even my mom (who doesn’t really like cookies) find these cookies irresistible. I made the batter the day before because the recipes calls for it to be refrigerated for at least 2 hours or overnight. It is really, very easy. All you have to do is just cream the butter and sugars together; mix the flour, peanut butter and egg in another bowl and then combine both mixture together. How simple is that! The original recipes calls for the cookie batter to be rolled into 3-cm balls but I made mine smaller – 2.5 cm balls. I think I’m pretty crazy when I bake cookies because I want all my cookies to be of the same size, so sometimes I will weigh the rolled cookie balls before sending them to bake. This time round, I try to make sure that all these cookie balls are 15grams each, and this yielded 50 plus cookies. I lost track counting them because I kept stealing the cookies from the cookie jar. In addition, when I used a fork to flatten the cookies, the baked cookies will come up with “grooves” on them so instead of using a fork, I just use the heel of my hand to flatten the cookies. Much faster and more efficient I think. Note: If you are not a fan of peanuts, use creamy peanut butter instead of crunchy peanut butter. Or if you want to have a lower content of peanuts inside, use creamy peanut butter and add in ~100 grams chopped and toasted peanuts. Sift the flour and bicarbonate of soda together in a large bowl. In a separate bowl, beat the butter for 30 seconds on medium speed then add in the sugars and beat until soft and creamy. Combine the egg, flour mixture, peanut butter and salt. Add the butter and sugar mixture and mix until smooth. Wrap the bowl with plastic wrap and refrigerate the cookie dough for at least two hours, peferably overnight. Shape the dough into 2.5 cm balls (or shape them into 15 grams each) and place them 3 cm apart on baking sheets. Flatten slightly with the heel of your hand. Bake for 15 to 17 minutes until golden. this recipe was so easy to use! Baked today and turns out to be gooood! haha hurry come back then!! how is it over there?